The 2019 Season of Mountain Meisters is under way at Cranmore and we learned today that things will be shifting around a bit when it comes to the Meisters. 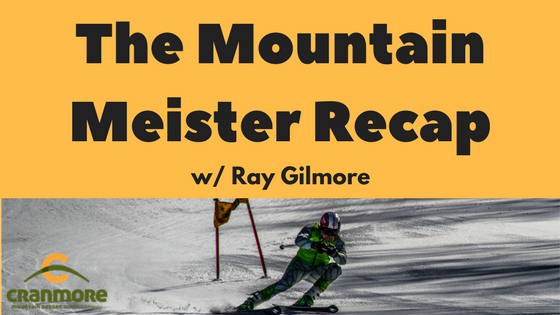 Ray Gilmore visited with Gino and The Magic Morning Show to give us the update that he will be stepping down as one of the Mountain Meister Coordinators and Cranmore‘s Kevin Hamlin and others will be taking over his Meister duties. Ray explains that he has numerous surgeries and procedures ahead of him and he will need the time to get “fixed”. For more information on Mountain Meisters go to Cranmore.com and Follow them on Facebook! We would like to take a moment and thank Ray for joining Gino on The Magic Morning Show each Thursday morning during Race Season and we wish him the best of luck and a quick recovery.